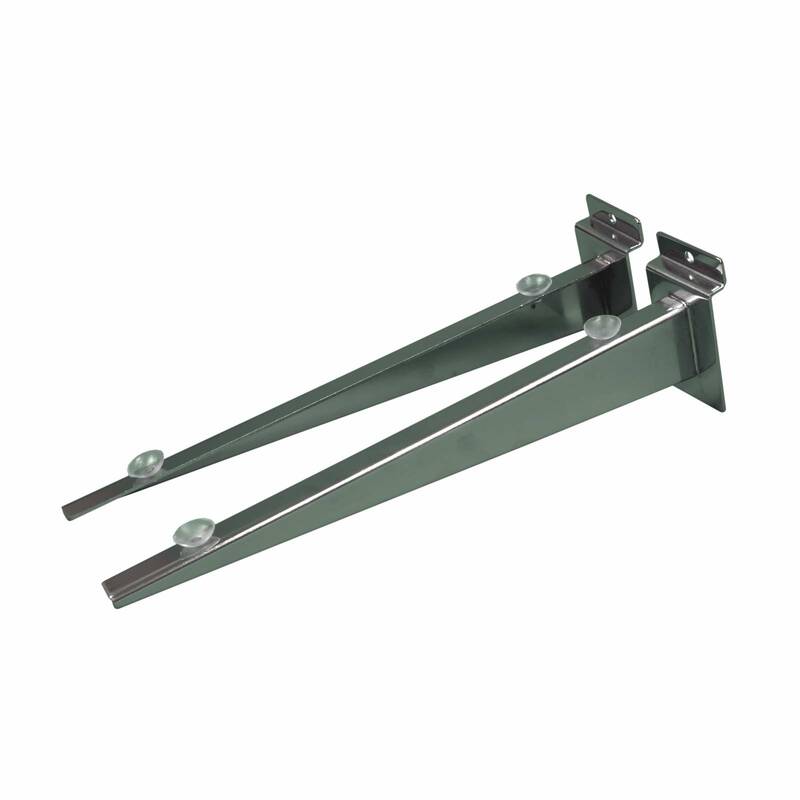 Pair of Slatwall Shelf brackets for use with wood, acrylic or glass shelves. 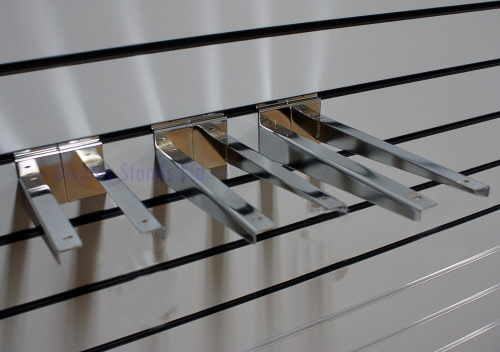 600mm wide shelves require 1 pair of brackets. 1200mm wide shelves require 2 pairs of brackets. 1000mm wide x 250mm deep. Perfect for K32/1000 slatwall display units.